Universities around the world are facing the task of adapting to a changing environment. In a contemporary global context, universities must respond to new educational needs, leading to a global process of enhancing lifelong learning. In addition, they must add new demands not only by students but also from other stakeholders who see the university as a core institution of training for adults. In the highly competitive and global environment of universities, traditional elements such as geographic location are less important in favour of other more intangible factors, such as the image of universities, prestige, and ability of adaptation to the training needs of people. Moreover, the phenomenon of e-learning leads to an increase in the competition between universities, where previous intangibles are increasingly important, as well as those that emphasize cultural aspects. This chapter presents how cultural dimensions are related to higher education, particularly from the work of Hofstede and The Globe project, as well as some cultural elements to consider in virtual environments. Universities around the world are currently undergoing a large number of competitive pressures from many different stakeholders (governments, firms, students, partners, etc.). This fact, as a result of the economic and social globalization process, is causing a restructuring of higher education. These changes are not due only to increased demand for quality, acquiring skills, and adapting to the scales and criteria of the Bologna process, for example, but also to the changing needs of a society that has in learning throughout life one of the key elements for the future of education. Traditionally, universities, with few exceptions, have asserted the location factor to meet potential students. An education that does not stop when students become graduates and get a job but continues and remains sometimes based on economic cycles over time, years, decades, or a lifetime. Universities are organizations that change with their environments. Different objectives and standards in teaching, research, and service, as well as lack of agreement on guidelines for goal achievement result in an ambiguous decision-making process. Universities are vulnerable to their environment. Changes in political, economic, social, and technological conditions can affect their situation strongly, and it should be used for strategic activity planning in higher education (Sporn, 1996). Because of the changes on the demand side, a large shift in the field of education has been produced. Not in vain, between 1960 and 2000, the number of tertiary students per capita increased seven-fold in 15 industrialized Western countries. In Western democracies, it is nowadays common that more than half of the younger cohorts obtain higher education (Schofer & Meyer, 2005). With rapid socio-economic changes, 21st century higher education faces major challenges to its governance systems, curriculum, mission focus, external relations, research, and financing (Shin & Harman, 2009). Reconciling personal and professional life, the difficulty sometimes of getting a quality education close to the workplace or residence, along with the emergence of Internet has caused that most universities have opted to combine their programs classroom study with complementary e-learning systems. This has created a clear potential benefit to individuals who have been able to complete their unfinished higher education grades, and to complement their professional skills and competencies to maintain and compete in a labour market increasingly tough and competitive. The culmination of this process has been the emergence of 100% virtual colleges, higher education institutions have chosen, from the intensive use of Internet, to provide learning overcoming time and space constraints (barriers). Virtual universities have broken traditional barriers to competition that triumphed in earlier periods. The location is not as important, the need to be located in large cities, close to potential customers, or have large classrooms. You only need a computer-based infrastructure, and appropriate methodology to bridge the distance with a good teaching strategy. All this combined with an adequate quality can lead to success, to compete with large universities that previously were able to recruit students from around the world. Of course, the offer of online courses is not a monopoly of such universities, but is already offered by most of them. In fact, the use of ICT in the production of education and training is transforming the way education suppliers are developing this activity; new opportunities have emerged to integrate pedagogical and technological resources, to enlarge flexibility across the learning process, and to improve the communication between teachers and students, and the interaction between different educational resources. 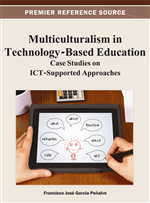 Thus, the increasing use of ICT, and particularly Internet, in the educational process of universities across OECD countries explains the growing adoption of e-learning systems, the development of online courses, and the emergence of fully online universities. That is the true concept of the global market. Higher education has become globalized universities can attract students from around the world and, therefore, penetrate into markets and countries where it was unthinkable. If it is a global business, what actions could institutions do to differentiate themselves? How to get a competitive advantage in the global market of e-learning?